Paul Olfert provides practical restructuring, secured realization, and dispute resolution solutions to businesses, lenders, insolvency professionals, and individuals. Local counsel to BDO Canada Limited in effecting the transfer of several thousand bankruptcy estate files following BDO’s purchase of the consumer insolvency practice of Deloitte Restructuring Inc. Junior counsel to Golden Band Resources Inc. (“Golden Band”), a publicly-traded Saskatchewan corporation that previously owned and operated a gold mine near La Ronge, Saskatchewan. Golden Band filed a Notice of Intention to Make a Proposal under Division I of Part III of the BIA. Obtained an Order of the Saskatchewan Court of Queen’s Bench approving the sale by Golden Band of its shares to its principal secured creditor, vesting title to its shares in the name of the principal secured creditor and cancelling the extant shares previously issued by Golden Band to its shareholders. Junior counsel to a secured lender, successfully obtaining a receivership order respecting a Saskatchewan drilling company, and opposing that company’s application for relief pursuant to The Companies’ Creditors Arrangements Act. 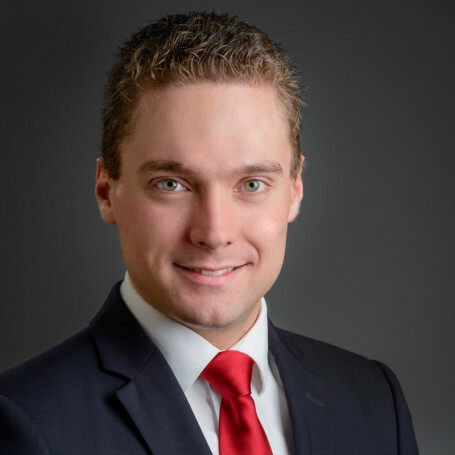 Paul’s experience includes commercial foreclosures and insolvency proceedings, demand and commencement of Saskatchewan foreclosure actions, the special Saskatchewan Farm Security Act procedure in Saskatchewan, and advocacy at leave state of foreclosure proceedings. His experience in relation to commercial matters, secured realization, insolvency proceedings, and commercial litigation, in tandem with the experience of MLT Aikins’ prominent insolvency and restructuring and commercial litigation groups, allows Paul to provide practical restructuring, recovery, and dispute resolution services to businesses, lenders, professional services firms and individuals. Paul obtains court orders necessary for ancillary matters in foreclosure action and for resolution of proceedings by sale or foreclosure. In addition, he obtains deficiency judgment where applicable. He appears regularly before the Saskatchewan Court of Queen’s Bench and has argued matters before the Saskatchewan Court of Appeal, the Saskatchewan Director of Corporations, and the Saskatchewan Registrar of Titles. Prior to joining the firm, Paul clerked at the Saskatchewan Court of Appeal.